We received some very exciting news today, June 30 about our Lafayette Rams and wish to share it with everyone associated with Rams Athletics. After finishing second or third a number of times over the years in the race for the VHSL All-Sports Championship (the Wells Fargo Cup for Athletics), our Rams finally won the Championship this year, for the first time in school history. The competition was tight and we edged out Western Albemarle out of Charlottesville by only 2.5 points. Even though it was close, the way we won the AAA Championship this year is the most exciting part of the story. Western Albemarle has sports, such as both boys and girls lacrosse, which we do not. Both of their lacrosse teams finished the year as VHSL State Runner-Ups, therefore giving them 90 points towards the Wells Fargo Cup championship. As a result, we knew that we had a great year, but spotting them 90 points would just be too much to make up. After all the sports were completed for the year, Western Albemarle had a 47.5 point advantage over our Rams. However, one other very important factor needed to be tallied by the VHSL for final point totals for all schools. The factor was the VHSL’s most prestigious award, the Sportsmanship-Ethics and Integrity Award, which is worth 50 points. Because of the outstanding sportsmanship exhibited throughout the year by our athletes we won this year’s Sportsmanship Award (this was the third year in a row) but Western Albemarle did not and those 50 points awarded to our Rams pushed us over the top. We cannot express how proud we are about winning both awards and of our Rams for the character they demonstrated on and off the field all year. The Wells Fargo Cup for the best athletic program in the state of Virginia is quite an award in itself; however, since we won it because of our sportsmanship, the award is so much better. Our history with the VHSL’s Wells Cup has always been exemplary and this year our Rams accumulated a total of 527.5 points, which is the second highest point total in the history of the VHSL. 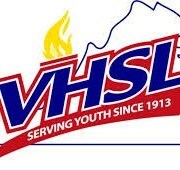 Lafayette now owns two of the top six yearly scores ever recorded by the VHSL. To make this story even more exciting is the fact that in the long history of the VHSL, Lafayette is one of only four high schools in the entire state (which includes – Blacksburg, Radford, and Woodbridge) to win the Wells Fargo Cup in both VHSL Academic-Activities and Athletics. As you may recall, last year our Rams won the VHSL Academic-Activities State Championship and this year our Rams Academic-Activities teams finished third. We will fill you in on all the details in the next couple of week when we send out our annual Academic-Activities and Athletic newsletters. This is a great day for Lafayette High School and we hope that you will share the excitement with our Rams. To win the Wells Fargo Athletic Championship because of great Sportsmanship is an extreme honor for our kids and coaches. Add in all the community service projects performed by all of our teams and the tutoring program of athletes helping athletes one will realize that all of this is the epitome of what we strive for in all of our athletic programs here at Lafayette. The dream cannot be any better !!!!!! Baseball wins VHSL 3A State Championship! 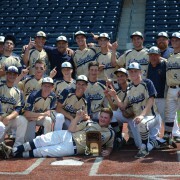 Lafayette’s baseball team makes school history, by winning their first ever state championship. The Rams jump out to a 4-0 lead against the defending champions Loudoun Valley, only to have the opponents to tie it at 4-4 in the 6th inning. Then in the 7th, Luc Lipcius hits a solo game winning home run over the right field fence, to make Lafayette history winning the 3A State Championship 5-4. Great job boys! Great season! You made the Ram Nation Proud! https://wjccschools.org/lhs/wp-content/uploads/sites/20/2015/06/Baseball-Championship-317.jpg 2061 3369 Daniel Gotthardt https://wjccschools.org/lhs/wp-content/uploads/sites/20/2017/10/Lafayette-High-School.png Daniel Gotthardt2015-06-14 10:45:092015-06-15 08:03:54Baseball wins VHSL 3A State Championship! Congratulations to the Girls Track team for winning the State 3A Track championship this past weekend. This is the first Girl’s Track team championship in the history of LHS. The Boy’s Track team finished 3rd. Way to go Running Rams! Rams girls track blew by the competition to win their first ever state title. While the boys earned a 3rd place finish in the competition. Newly Inducted Members of the National Honor Society should see Ms. Scott during their lunch to pick up their certificates. Attention students – the LHS book club will have their last meeting during AEP on Monday, June 8th. Attention Seniors â Mrs. Newcomb & Mr. Townsend will be available in the upper commons during all 3 lunches. Please see them for the pronunciation of your name for graduation. All Athletes who participated in the I-PAASS tutoring program this school year should see Mr. Barner today before 1:00pm. The History on Film presents Selma today at 2:30pm in room 114. Attention Spanish Honor Society members, please come to room 302 during AEP today to vote for our new president. You should have already received a pass. 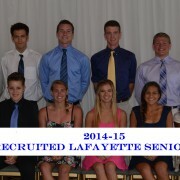 The Lafayette Academic-Activities Awards Ceremony has been changed from tonight to tomorrow night, Thursday, June 4th at 8:15pm following the Senior Awards Ceremony in the Auditorium. Attention Students – the library will be closing today at 2:30. All Athletes who participated in the I-PAASS tutoring program this school year should see Mr. Barner before 1:00pm on Wednesday, June 3rd. Attention 2015-2016 Rambassadors applicants, please check the list outside Ms. Dixon’s room 405 to see if you are a member. If you are, there is a mandatory meeting after school on Wednesday, June 3rd in room 405. 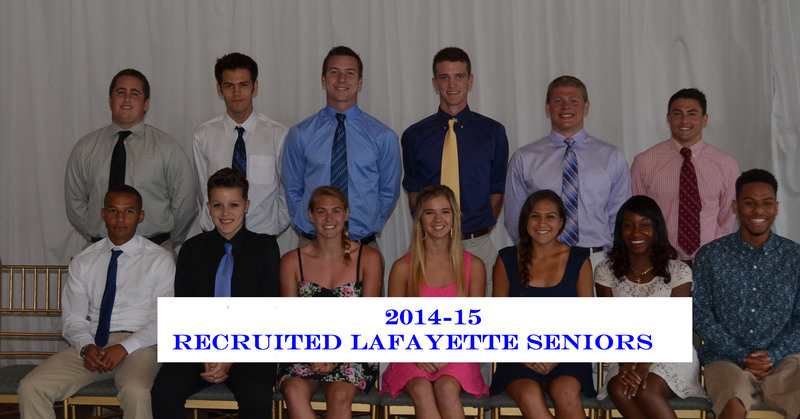 The Lafayette Academic-Activities Awards Ceremony has been changed from Wednesday, June 3rd to Thursday, June 4th at 8:15pm following the Senior Awards Ceremony in the Auditorium. The History on Film presents Selma on Thursday, June 4th at 2:30pm in the Lecture Hall.